Could It Be Time For A Career Change? You may have relished your position when you started out. For years, even. But when you wake up to go to work, or unbidden in the dark of night, something’s not quite right. Here’s how to recognize that it’s time for a career change. If you see yourself in these clues, read on to take advantage of free resources I have for you. Clue #1 – You’re not excited about getting up for work. If you haven’t looked within or outside of your organization in a few years, you are missing the chance to learn again and grow. Gone are the days when you need stay in the same job for many years. Just as you are not the same person you were five years ago, it may be time to expand upon or reinvent what you do, what you want to stand for, in your next job. You don’t need to wait for permission or an explicit reason to experience positive energy from work again. Clue #2 – You think and talk about changing your career, but it doesn’t seem to lead anywhere. Thinking about something at length can have us believe we are putting in more effort than we really are. Intellectually, we know thinking about something is not the same as actually doing it. But our mind doesn’t always catch this. Thinking hard, wishing hard, about something takes energy. It’s draining to circle around Dallas in our head. If you want to explore next-stage career change, there’s no substitute for taking conscious action. Clue #3 – You have FOMO (Fear of Missing Out) when it comes to career advancements of others. When you look around and notice that others are making the career moves that you would like to see yourself in, consider this a clue. They likely set clear intentions and applied focused effort to get that position – and you can too. As an alternative to believing in luck or that it always happens to someone else, tune in to what is going on for you and what you want to happen. Clue #4 – You don’t know what to do next, and that’s a show stopper. I’ll go out on a limb here, and say what do I do next? is simply the wrong question to be asking. Thing is, it doesn’t yield an answer initially for most people. Not knowing what does not need to stop you from exploring, then going for, what’s next. Turns out, there are all sorts of cool tools, resources and assessments since you last looked for a job. You don’t have to have it figured out (or be miserable in your job) to make a move. Clue #5 – You want to make a career change but other things keep getting in the way. Are you falling prey to distractions? 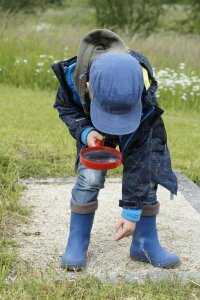 Are lower priority activities taking up space where career exploration ought to be? Do you believe the snarky voice in your head that says things like: I don’t have enough time. I’ll do it…later. I’m too old. I don’t have what it takes. I can endure it. Resistance, in the form of limiting beliefs and limiting our actions, distracts from what we want most. It’s a really common experience. (it’s NOT just you). These are some of the clues I see most often that a career needs redesign. Do any seem familiar? These articles and assessments will help you move purposefully beyond distraction and into quick action. Take intentional action in 2018 with my Leading True Activation Tool with powerful questions to help you get clear and get moving thinking strategically over the next several months. 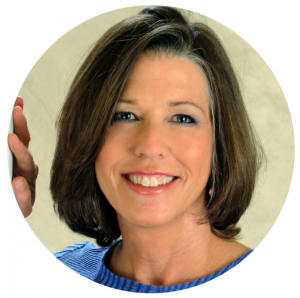 Gail Gaspar is a masterful Doubt Wrangler and founder of Gail Gaspar Coaching. She is creator of Discover Your Dream Career ToolKit. Follow her on Twitter, LinkedIn and Facebook and read her monthly Newsletter featuring exclusive content, strategies and resources to Lead True in your career and in life. 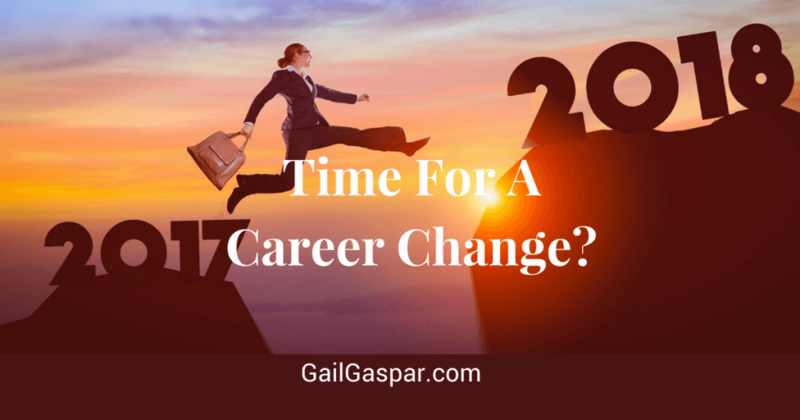 Gail uses her rigorous training in psychology, organizational development, wellness, and coaching to guide clients from career inaction to taking irresistible action on defining what's next. Whether the goal is fuzzy or clear, cloaked in resistance or passion, Gail customizes the experience to help each client make epic progress on their own terms. Unwrapping the natural and developed strengths of each individual, she helps them discover innovative solutions and step with confidence into a highly relevant, purposeful career identity.